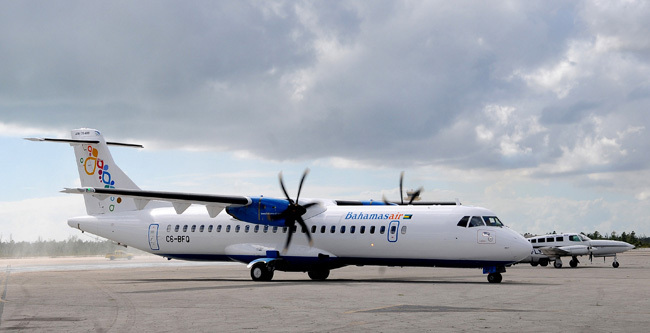 $22.7 Million ATR aircraft arrives at Bahamasair. Expressing again in person on behalf of the people of The Bahamas his sincere condolences to the French nation and the families of the victims of the recent atrocities committed in Paris, Prime Minister Christie reiterated two pressing issues as regard climate change, its impact on The Bahamas and what must be done to mitigate its risks. Mr. Christie was delivering The Bahamas’ statement this week in Paris at the United Nation’s conference on climate change called COP 21. Firstly, acknowledging that with 80% of our land within one metre or five feet of mean sea level, the PM told delegates that The Bahamas could afford a “business as usual” approach to this environmental phenomenon. He then outlined some steps The Bahamas has taken to date. Secondly, the Prime Minister stressed that the “$100 billion per year pledge by developed countries needs to be honoured and built upon in the post-2020 period” and that in accessing this fund, the gross domestic product or national per capita income cannot be the main qualifying component for SIDS like The Bahamas to access such funds at concessionary rates. The United Nations COP 21 climate change conference which opened on Monday, 30th November will conclude on 11th December 2015 with a legally binding agreement between UN member states. Laying out one of the overarching policy objectives of the government for a stronger Bahamas was Acting Prime Minister, the Hon. Philip Davis, as he commissioned the first of five new seventy seats ATR72-600 series turbo-prop jets at a ceremony on Wednesday at the Bahamasair hangar. 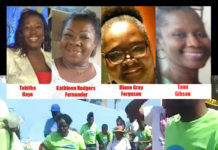 Speaking more specifically about the nation’s flag carrier, Davis said that Bahamasair has not enjoyed this level of investment since April 1990. Additionally, he said the fleet upgrade was critical to improving the travel experience for both domestic and international tourists and it’s a fulfillment of a commitment to the future of Bahamasair. “As we work together to improve the air travel experience for Bahamians and tourists, the acquiring of new aircrafts represent the fulfillment of this Government’s commitment to improving the short and long-term future for our National Flag Carrier. Mr. Davis justified the $100 million investment as strategically necessary to proactively build on and enhance Bahamasair’s legacy of safe air travel, improve on its operating economics and necessary to allow the national flag carrier to compete more effectively in the market. Also on hand at the commissioning ceremony was Minister of National Security, Hon. Bernard Nottage; Minister of Transport and Aviation, Hon. Glenys Hanna-Martin; State Minister in the Ministry of Works and Urban Development, Hon. Arnold Forbes; senior government officials and the executive team of Bahamasair including Chairman Valentine Grimes and General Manager Henry Woods. The remaining four aircraft, one more with seventy seats and three with fifty seats are due in The Bahamas over the next six months. Assuring the public that “all the heads of the law enforcement agencies meet regularly to exchange information and make joint plans” on both the national and international levels, Foreign Minister Hon. Fred Mitchell responded to media reports earlier this week about the government’s action plan to protect and secure the borders of The Bahamas. The immigration law was recently amended to increase the penalties for offences under the Immigration Act. Eighteen million dollars are being invested in a new border management system. This new state of the art integrated system includes new machine readable passports, new electronic procedures for entry into The Bahamas and the ability to exchange information accords various law enforcement data bases. The Bahamas has signed on to the APIS system which allows for the exchange of valuable information on passenger traffic into The Bahamas. The enabling legislation will be introduced to Parliament shortly so that this system can go live. There have been successful prosecutions under the new laws for harbouring illegal immigrants and for assisting in illegal landings. This operation continues in tandem with continued and unabated repatriation exercises. Additionally, the Foreign Minister expressed the concerns of the government that the Opposition is “unable to restrain its friends in the activist community who seem intent on tying up the courts in frivolous and vexatious litigation, racking up unnecessary court costs to prove points that are not exactly earth shattering in law. The Department of Correctional Services began ‘Correctional Services Recognition Week’ with a ‘Wall of Remembrance’ commemoration in honour of fallen comrades on on Sunday morning, November 29. In the afternoon, the staff participated in a parade and worshipped at the Annual Church Service at the Myles Munroe Diplomat Centre, Carmichael Road. In attendance at the church service of thanksgiving were Minister of National Security, the Hon. Bernard Nottage; Minister of State in the Ministry of National Security, Senator the Hon. Keith Bell and officers from the Department of Correctional Services. Minister Nottage addressed the assembly. The week of events also featured Community Outreach to the Homes for the Aged, Awards Luncheon, Art & Craft Exhibition and a Drill and Display Performance in Pompey Square. A Town Meeting was held Monday evening, November 30, 2015 at the National Center for the Performing Arts, Shirley Street to discuss the proposed upgrade to the Potter’s Cay dock. Addressing members of the community in attendance were the Minister of Transport and Aviation, the Hon. Glenys Hanna Martin and the Member of Parliament for the Montagu Constituency, Richard Lightbourne. The Department of Marine Resources advised the general public this week via a press release that effective the 1st December of each year until the 28th February of the following year, the season for the fishing the Nassau Grouper will be closed. “The Department of Marine Resources further wishes to advise the public that the taking, landing, possessing, selling and offering for sale of any fresh Nassau Grouper will be prohibited during the period 1st December, 2015 to 28th February, 2016 throughout The Bahamas. Further, any grouper that is caught must be landed with head, tail and skin intact. 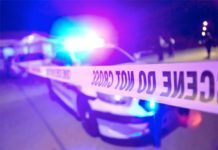 Persons found in violation may face a fine of five thousand dollars ($5,000) or imprisonment to a term of one year or both upon conviction. 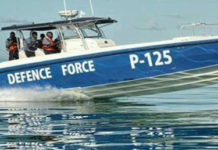 “As practiced in the past, persons possessing Nassau Grouper prior to the initiation of the closed season are required to make a written declaration of the quantities of the resource in their possession to the Department of Marine Resources or in the case of the Family Islands, to their local Fisheries representatives, the Police or the local Family Island Administrator” said the statement. Regional concerns about a sustainable approach to the resilience of climate change was the topic of discussion on November 30th at the Opening Ceremony of the 9th Annual Caribbean Conference on Comprehensive Disaster Management (CDM) held at Melia Resort under the theme “Sustainable Development: Pathway to an Integrated Agenda for Resilience.” Delivering the keynote address was the Most Hon. P.J. Patterson, former Prime Minister of Jamaica. Defining sustainable development based on the Brundtland Commission, Patterson encouraged regional delegates to take a consolidated approach and pursue collective action to protect our environment, avert disasters, or at least mitigate the effects while spurring sustainable development to consistently meet the needs of not only the current but future generations. “The most widely accepted definition is that given by the Report of the Brundtland Commission in 1987: ‘Sustainable development is the kind of development that meets the needs of the present without compromising the ability of future generations to meet their own needs.’ These ‘needs’ represent the present and future economic, social and environmental goals that we set for our countries,” said Mr. Patterson. The Bahamas Gaming Board issued the following statement Thursday evening on the Supreme Court ruling in the case of web gaming operator BET VEGAS in its bid to remain open after failing to a receive a provisional gaming license from the Bahamas government. “On 26th October 2015, Mr. Justice Roger Gomez, handed down an ex parte order giving Bet Vegas Casino liberty to operate until the hearing of an appeal application and suspending the Gaming Board closure notice dated 19th October 2015. “On Tuesday, 1st December 2015, upon hearing a motion to set aside the 26th October 2015 injunction filed by the Attorney General’s Office, it was ordered that the ex parte order be set aside with immediate effect. Marathon Bahamas has won a Tourism Impact Award for its contribution to the sports tourism world, beating out Battle 4 Atlantis and Bahamas Speed Week to name a few. The National Sports Awards were held recently at the Atlantis resort on Paradise Island. On Monday, Youth, Sports & Culture Minister Dr. Daniel Johnson presented Sunshine Insurance with the award at a news conference at the company’s Shirley Street headquarters. Sunshine Insurance is the lead organizer and sponsor of the annual endurance event, which made its debut seven years ago in January 2010.
International Film Festival (BIFF) kicked off its list of activities this week with over 35 filmmakers worldwide presenting their movies, participating in panel discussions, and enjoying some Bahamian hospitality and culture. BIFF Founder and Executive Director Leslie Vanderpool said, “this year’s range of directors coming to the Festival is extraordinary,” pointing out that film lovers attending BIFF this year will have the chance to meet and discuss the works of great creative artists as they mix and mingle with them at BIFF events. Ticket prices range from $4 for a general screening, to $25 (advance) or $40 (on the day) for BIFF Opening Night and Closing Night films “Carol” and “Janis: Little Girl Blue”. NEMA and Social Services earmarked four RV Mobile Homes for Crooked Island to assist persons whose homes were completely destroyed by Hurricane Joaquin; three trailer homes were earmarked for families in Long Island. The trailers left Nassau by mailboat on Thursday and are expected to be in the designated Islands by the weekend. Dr. Gail Saunders, Deputy to the Governor General, and Minister of Health the Hon. Dr. Perry Gomez, attended the World AIDS Day Church Service, Tuesday, December 1, 2015 under the theme “Getting to Zero” at St. Matthew’s Anglican Church, Shirley Street. Children of St. Thomas More School performed a musical selection during the service. A delegation from Hubei Province China Trade Mission is in The Bahamas to exchange ideas on bilateral trade with local Bahamian businesses. The delegation has already travelled to Grand Bahama to meet with small business owners on that island. They are now in Nassau, where they have met with several business owners to discuss and exchange ideas on small businesses, investment and trade opportunities. Senior Justice Stephen Isaacs was sworn-in as Acting Chief Justice of the Supreme Court by Dr. Gail Saunders, Deputy to the Governor General, during a brief ceremony at Government House on Monday, November 30, 2015. The Star Sailing League spent this week in Nassau and will remain until Saturday (5th December). The league is in town to sail the final leg of its annual international sailing competition. On Tuesday at the Montague shores, a number of local captains and sailors teamed up with the international sailors and staged a mini regatta using Bahamian sailing sloops. The official opening ceremony for the final leg of the tourney took place later in the day at the Nassau Yacht Club. Minister of Agriculture and Marine Resources, the Hon. Alfred Gray brought brief remarks. A Regatta Conclave will be held on Friday evening at the Melia Resort where the Deputy Prime Minister, the Hon. Philip Davis, is scheduled to deliver the keynote address. Members of the Board of Trustees of the Governor General Youth Awards (GGYA) held a press conference at the Hilton Hotel on Wednesday of this week to bring greater awareness to the public about the benefits of involvement in the Governor General’s Youth Award. Management Council Chairman Jack Thompson said that since 1987, over 10,000 young Bahamians between the ages of 14 and 24 have participated in this program in the categories of Services, Skills, Physical Recreation and Adventurous Journey; this represents the highest level of participation among participating countries. Today there are 51 GGYA units in The Bahamas. The GGYA has scheduled a Royal Visit to HRH Prince Edward for March 2016. The United Nations celebrated Disabled Persons Day on Thursday, 3rd December 2015. The Bahamas observed this day with a ceremony at the Saint Joseph’s Parish Center on Boyd Road. Delivering remarks was Financial Services Minister Hon. Hope Strachan who represented Social Services Minister the Hon. Melanie Griffin. Acting Prime Minister the Hon. Philip Davis traveled to Abaco on Wednesday of this week to inspect the progress of ongoing road works on that island. He was accompanied by South Abaco MP the Hon. Edison Key. 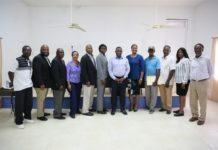 He and his delegation then traveled to North Andros where he toured the Bahamas Agriculture Marine Science Institute (BAMSI) campus and addressed members of BAMSI’s associated farmers program. Citing the lessons learned from the fallout of 911 where the United States government sealed off its borders in the wake of the terrorist attack, he told farmers that they were playing an important role in bolstering the country’s food security while earning a “good living” from the local food production industry. The management of the Lynden Pindling International Airport (LPIA) conducted a full scale emergency drill on Wednesday of this week to heighten the level of airport’s preparedness in the event of an emergency. It is always good to test the effectiveness of the emergency response procedures. Pompey Square came alive with the spirit of Christmas in the air as a huge sleigh, lots of Christmas lights and decorations marked the official countdown to Christmas. This was the brainchild of the executive team at the Ministry of Tourism under the leadership of Joy Jibrilu, Tourism Director General. Prime Minister Christie is scheduled to return home on Friday, 4th December after a two week government business trip that took him first to Malta where he met with commonwealth heads at the CHOGM. The Prime Minister and his delegation then flew to Paris for the United Nation’s COP 21 meetings with global leaders on climate change. Foreign Minister Fred Mitchell flew from Paris to Grenada on Thursday (3rd December) where he is representing the Prime Minister at a CARICOM heads of government meeting to continue discussions on the future of West Indian Cricket.